Named one of Rolling Stone’s 2018 “Artists You Need to Know”, Nashville-based country duo Haley & Michaels are known for their strong, blended vocal harmonies and their relatable lyrics. Capturing the vision of both Shannon Haley and Ryan Michaels, they sharpen a fresh, arena-size sound and embody what it means to be a pure duo on stage and off. Following their emergence in 2015 with the breakout single, “Giving It All (To You)”, the independent pair sold over 200,000 digital downloads and generated over 15 million Spotify streams in addition to landing on marquee playlists such as New Music Friday, New Boots and Wild Country. Along the way, they have shared the stage with the likes of Sam Hunt, Brett Eldredge, Chris Young, Brothers Osborne and Old Dominion, in addition to performing twice on NBC’s Today and earning a fan in Hoda Kotb. After signing to Sony ATV’s label imprint Hickory Records/RED Music in partnership with Reviver Records, the duo dove headfirst into creating their first full-length studio album. They are excited to share the unique sound: It’s country music with a stadium-sized spark and powerful pop palatability. Bright and colorful, but also honest and probing, it connects the dots between Little Big Town’s harmony-driven country and the rock edge of Keith Urban. 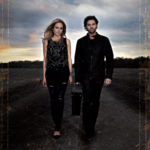 As one of Taste Of Country’s “5 Country Artists To Watch”, Haley & Michaels kick off this next phase of their musical career with their single “Taking Off”, produced by Zach Abend and mixed by acclaimed Chris Lord Alge.